Thus, Chicanismo is not the easiest way of life in a world warped by hatred, money, and steel, but it is the most meaningful because it is the most human and real. Above all, Chicanismo is real. A Chicano does not wag his tongue about injustice and wrong. He acts more than he speaks. A Chicano has forgotten the elocutions of rhetoric; he is too busy being "un hermano de carino." Then, may we all reach our goals without violence, injustice, or prejudice; and may we reach our goals without abusing our brothers, or stepping on them, or stealing of their labor, or harboring jealousy and envy. Yesterday, our grandfathers lived with injustice for years. Our fathers could not resist this injustice, but they remained what they were. They did not become part of the injustice themselves. Today we resist and fight this injustice. If we remain peaceful, it is not out of weakness, but out of a strength that no nation or man has yet been able to break. La Raza is always La Raza. Our force is a sword of patience, awareness and truth. The force never dies. The sword never dulls. But may we wield the sword with a calm and tranquil spirit. The sword, as it cuts through the film of untruth, will make its own roar and find its own mark.
" I Will Catch the Sun !" Neither an ideology nor a myth, a Chicano is a very real person. Beyond the person, Chicanismo is a way of life, a spiritual calling, a love, a respect, and a duty. Not all those who are brown are Chicanos, and not all those who are Chicanos are brown. Brown is a color. A color cannot love nor can it know of respect. Only a warm human being can love and respect. 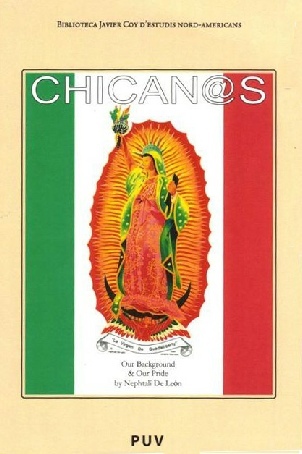 Not all those who call themselves Chicanos are Chicanos, and some who do not call themselves anything, could be the best examples of Chicanismo. To be Chicano means to have learned of respect, to have practiced understanding, and to have been moved by social injustice to the point where the person sees it as his duty to fight wrongs wherever they may be found. Chicanismo also means to teach humanism and to love (with respect) all of our fellow human beings who also cling to this earth. to the concrete, from an impossible dream to its actual realization. 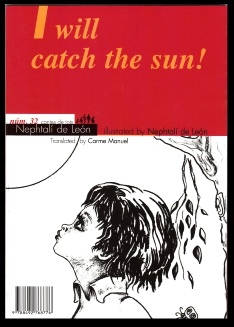 the sun, and with that sun, the vision and unclouded dreams of children. lo concreto, de un sueño imposible que se vuelve realidad. la vision y sueños limpios de los niños. 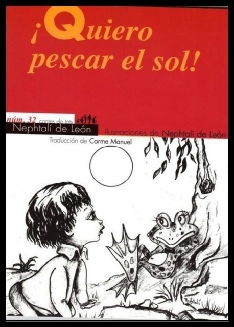 "¡ Quiero Pescar el Sol !"